Every now and then I’m reminded of the “Philosophy of Art” class I took in college. In this class, we discussed different philosophers’ perceptions of what constitutes good and appropriate art. Some philosophers claimed the purpose of art is to inspire us to do good; thus, art must depict positive images, or images of people doing saintly things. Others believe the purpose of art is to make you feel a full range of emotions; that in doing so your purge yourself of extreme emotions. 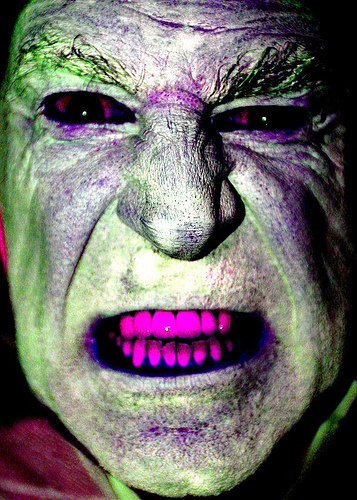 In other words, when you see something horrible happen to a character in a play, for example (say he’s murdered), you initially feel extremely upset, angry, or fearful. But after experiencing these emotions you realize that your life is very good in comparison. You realize there’s no need to live life with lots of anger or fear. So the act of experiencing a “negative” work of art is in fact cathartic and good for our well-being. I’ve never seen this show before, but know it’s about a serial killer. A guy I know who watches it told me that Dexter is actually a sympathetic character. Crazy, huh (being that he’s a serial character)? I guess life isn’t always black and white, but I fear the blending of good and bad in this show could confuse already deranged people and prompt them to do something bad. Maybe I should watch the show first before jumping to this conclusion. I have, however, seen movies that blur the lines between good and bad. In “The United State of Leland,” for example, you find yourself asking whether murder can sometimes be justified, or at least viewed with less disdain. One of the characters basically murders an autistic boy because he thinks he is very sad. He wants to put him out of his misery. The movie does not reach a conclusion about whether the murderer did the right or wrong thing. Looking back, part of me thinks this moral relativism is a horrible thing. But the other part of me thinks it’s good the movie makes you think (if only to arrive at the conclusion that the murder was reprehensible). The thing with these morally muddled shows and movies is reasonable people end the experience with a fairly sound knowledge of what’s right and wrong, despite the reflection that was invoked. Not-so-stable people, however, see a horrible act being glorified or accepted, and take that at face value. They see something honorable about hurting others. And then maybe, just maybe, they do something stupid as a result. The problem, however, is that something huge would be sacrificed if we only allowed artists to make paintings, shows and movies depicting inspiring actions. Life isn’t always peaches and cream, and we’d be doing truth a disservice by representing it that way. Plus, maybe seeing horrible things does purge of us unhealthy emotions. But unfortunately, crazy people’s minds don’t work the same way as everyone else’s. Who knows, though- maybe even inspiring art wouldn’t keep them from doing something terribly immoral. It’s funny both pictures have a cerulean blue background. Anyway, I saw the Japanese movie at my friend Ina’s house. 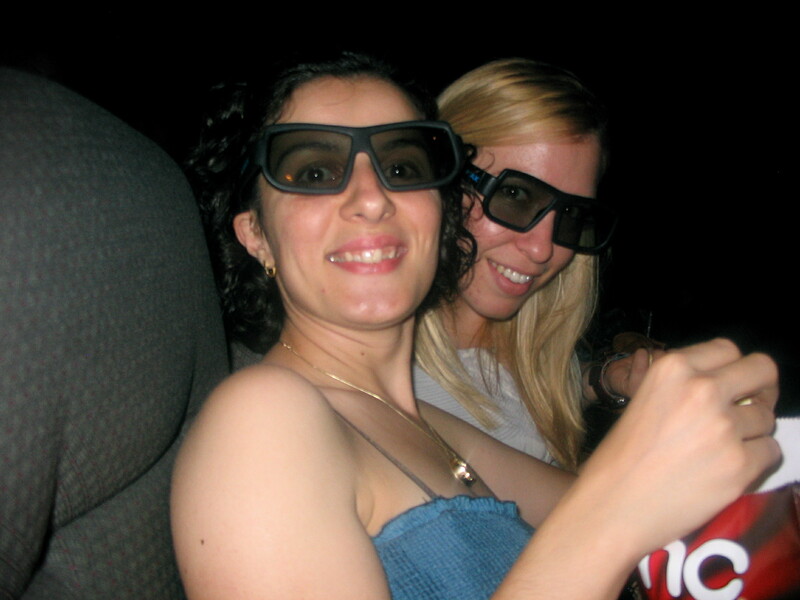 She had a bunch of girls over to watch an Academy Award-nominated film in the Foreign Language category. We plan to get together again and watch another movie that falls into this category. Overall, we enjoyed this film. 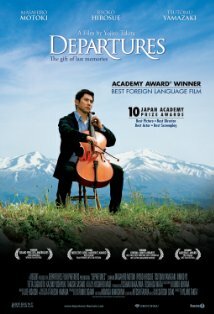 It’s basically about a man who loses his job as a cellist, and must find a new one. He comes across a job listing in the paper, but it doesn’t exactly state what the job is. He goes to an interview, and finds out he’d be cleaning dead bodies and conducting rituals to lead their spirits into the afterlife. That doesn’t necessarily sound THAT bad, but you come to discover the job has some pretty negative aspects. Like, he gets calls in the middle of the night to retrieve dead bodies from wherever the person died. One lady had been dead for a week or so when she was discovered, so the body was all gross and decomposing when he arrived. Another difficult aspect of the job is that society looks down on you. I think it’s because Japanese families used to take care of cleaning the body and doing the ceremonies. I think they view the man’s job as something a “stranger” shouldn’t be doing. The man’s wife certainly didn’t approve of what he was doing until she saw him perform some of the rituals. She was moved by their beauty, and her husband’s care at performing them. 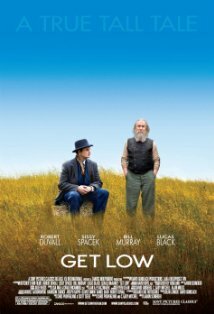 I saw “Get Low” with my mom at an independent movie theater near Syracuse, NY. It’s the story of a hermit (played by Robert Duvall) who decides to throw his own funeral party. The catch is he wants to have the party while he’s still alive. He finds a funeral home that is willing to help him out (they are mainly in it for the money). At first, he tells everyone he wants to have the party so all the attendees can tell a story about him. The problem with that idea, however, is no one really knows him. He has lived in seclusion in the woods for over 40 years. Whenever anyone walks onto his property, he greets them with a gun and a threat. So the only stories people have are rumors or about brief unpleasant encounters. So eventually he starts telling everyone (he and the funeral home are advertising heavily for the party) that he’s going to reveal a secret at the party. He’s going to tell everyone why he’s shunned society for so many years. This is a big draw for the townspeople, and results in a huge turnout at the party. I’m not going to tell you what he ends up telling everyone, but it’s pretty amazing. I will say that it’s a bad thing he did during his youth. To repent for his sin, he lived in solitude for all those years. When he felt he had paid his dues, he decided to confess his transgression to everyone. It’s quite a story of redemption. Some of the cheesy but moving dialogue, like a quote about how leaving things alone (like nature) makes them beautiful…I’m really frustrated I can’t find this particular quote online. I really liked this movie, but not quite as much as “Departures”. I think part of the reason was because for a while you don’t understand why the man would organize a party to have people tell stories about him. You don’t realize there’s another reason for the party until later on, and are kind of confused in the meantime. She was born in Stockholm, Sweden. Both her parents died when she was a child. She was loved for both her beauty and her acting ability. She was also loved for her combination of European sophistication and American innocence. She wasn’t always innocent, however, getting involved in numerous affairs. Once people found out about the affairs she was vilified. Her appearance was more natural than that of her American actress counterparts (e.g. she didn’t pluck her eyebrows). She played a diversity of roles that gave women more dimension than they had generally been given before. She got used to being in front of a camera during her childhood, when her father habitually took photos of her dressed up in funny hats and costumes. 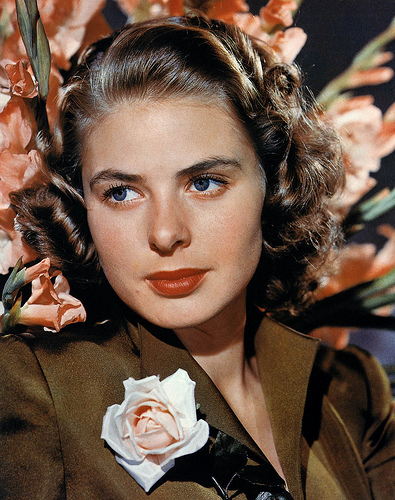 Her acting advice for her daughter, Isabelle Rossellini, was to not do anything. She said that was better than doing something wrong or badly, and that there will always be violins to give your character the right mood. So there you have it, some fun facts about the actress! 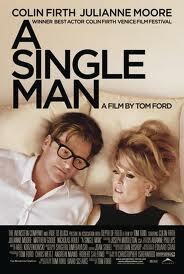 Go see “A Single Man” starring Colin Firth! I saw it last night with a friend, and highly enjoyed it. This Oscar-nominated film was Tom Ford’s directorial debut (he’s an accomplished fashion designer). Upon starting the movie, my friend and I wondered if it would be super depressing. 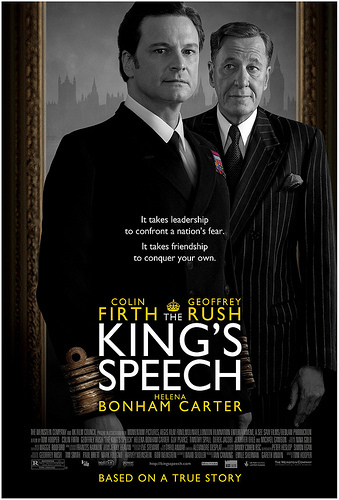 I mean, basically it starts off with Colin Firth’s character dreaming about his late lover’s death. You soon realize the death recently took place, and has consumed his life (in a negative way, obviously). Ford doesn’t just show you a sad Colin Firth (his character is a gay man named George Falconer). Instead, he juxtaposes shots of his hopeless demeanor with shots of his “perfect” neighbors. The camera zooms in on their shiny smiles, polished shoes, and coiffed hair. But the images of the neighbors actually make you feel uneasy. Their happiness seems ultra-contrived/fake when juxtaposed with Falconer’s mannerisms, the somber background music, and Falconer’s meaningful flashbacks. The family may look perfect on the outside, but Falconer’s life and sadness seem more real. This ambiguity of “What’s the ideal life?” sort of makes Falconer’s situation less painful to watch. This effect was clearly achieved through Ford’s direction. Still, Falconer is desperate, with plans to kill himself that day. He brings his gun to work (he’s a college professor), cleans out his office, and tells his class what he really wants to say (a change for him). But when he’s about to shoot himself in his car, he’s disrupted by an inspired student. The rest of the movie shows the various happenings that keep Falconer from killing himself. But you sort of wonder if Falconer would have had the strength to kill himself anyway. There’s still a flicker in his eyes that makes you think he loves life too much (despite his sad circumstances). I won’t say what ends up happening to Falconer. But I will say that the movie makes you think a lot about the intersection of will and chance. Sometimes you want something to happen, but fate has it otherwise. And sometimes you change your mind about what you want, but fate hands you what you originally wanted. Does it really matter what you ended up wanting so long as fate is at play? I definitely think so. Because your fate can change depending on your thoughts and corresponding choices. It might not, but it can. I love movies about dysfunctional families! I don’t know why– they just make me laugh! Call me sadistic, but that’s how I feel! I think part of it is because these movies are very real to me. They show the way things are, not some idealized world. Yesterday I saw a dysfunctional family movie, and I must say it’s the best movie I’ve seen in a long time! I couldn’t stop laughing! 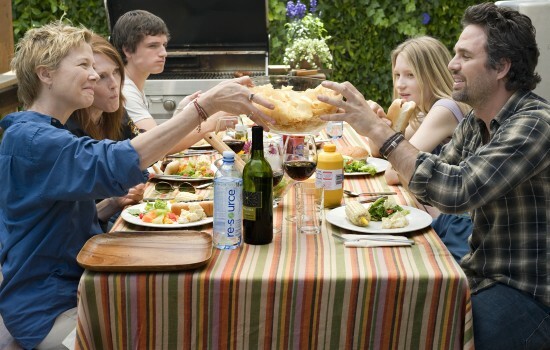 In “The Kids Are All Right” Annette Bening and Julianne Moore play a married lesbian couple who have daughter and a son. Toward the beginning of the movie the son wants to meet his sperm donor (who’s also the daughter’s sperm donor). The daughter ends up calling him, and the three of them meet up. They sort of hit it off and decide to hang out again. The mothers soon find out about this, and are pretty apprehensive about letting this stranger into their lives. But they agree to meet the donor in order to support their kids. Anyway, craziness ensues. I won’t give away too much, but basically the entrance of this man into their lives upends the family’s stability. Not that there weren’t issues to begin with. One of the moms is extremely controlling and obsessive, and the other feels like she’s not being supported by her wife career wise. The kids are actually pretty normal, but the parents issues blow up. At this point (and actually throughout the movie) you see amazing performances by Bening and Moore. Oh my god, the way Bening looks when she’s mad is remarkable! She has a glacial look that sends chills down your spine. And Moore’s portrayal of a self-conscious, wordsmith (the way she uses words make her so charming!) is almost as good. I highly recommend this movie to anyone who likes to laugh and appreciate strangeness! Go see Toy Story 3!!! 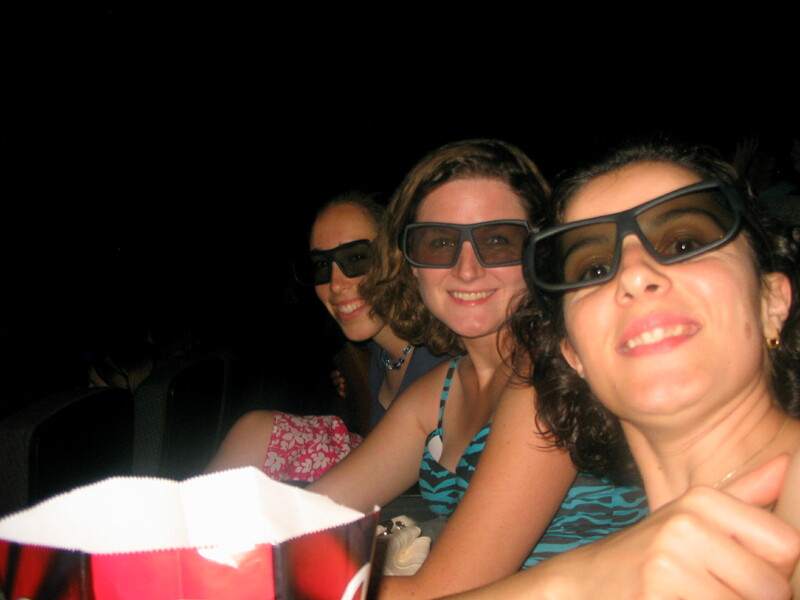 I saw it with some friends (in 3D) the other day, and loved it! I actually don’t really remember Toy Story 1 that much, and never saw Toy Story 2. But that didn’t matter! I appreciated the movie all the same. It’s a good idea for a plot. The toys’ owner, Andy, is headed off to college. The toys mistakenly get the impression he doesn’t want them anymore. They accidentally get taken to a daycare, but they (with the exception of Woody) don’t try to leave because they think Andy no longer cares about them. Woody successfully leaves the daycare. But when he finds out many of the other toys at the daycare are evil, he goes back to save his pals. The toys’ plan for escaping the daycare is pretty creative! And there are so many funny aspects of the movie, including Ken’s (as in Barbie’s boyfriend) obsession with his appearance, and Buzz Lightyear’s Spanish setting. Check out the movie if you can!